Every other group that “pitched” in Round 2 (the verbal presentations) took home a $200 grant made possible by private donors. 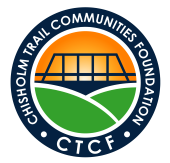 To donate to one of the participants, click on the links for the individual groups below or contact CTCF for more information at (512) 863-4186 or friends@chisholm-trail.org. Thanks to all our participants—we had an incredible depth of quality in the projects presented! All those in attendance not only learned about specific needs in the community but were also amazed by the creativity and hard work of area nonprofits. 15. Pitch by Richard Singleton, STARRY, Inc.